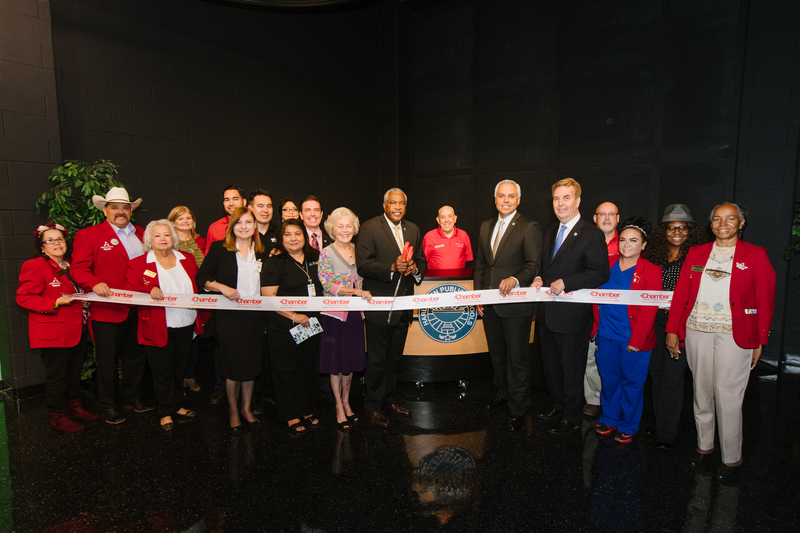 HCISD rolled out the red carpet to celebrate the grand opening of its Media Arts and Communications Academy (MACA) with a ribbon-cutting ceremony held on, Tuesday, October 17. Made possible through voter approval of the Tax Ratification Election in September 2015, the MACA is a creative incubator designed to inspire and empower students pursuing careers in media arts and communications in a state-of-the-art environment that is aligned to the industry standards. Previously, the building had been the site of the old Memorial Middle School band hall. The repurposed space will allow students to receive an experience beyond the traditional high school CTE program gaining in-depth knowledge in visual communications while connecting with real clients. All around this was a student-centered affair, from student photographers and videographers documenting the event to MACA senior Christian Ingram serving as emcee to student-led tours showcasing the Academy’s state-of-the-art features. Video highlights included teacher and student interviews as well as congratulatory messages from celebrities like actor Valente Rodriguez from the sitcom George Lopez and John Quiñones the host of ABC’s show What Would You Do?. The MACA is one of six new Academies launched during the 2017-2018 school year. These Academies, which feature Career and Technical Education courses of high demand career tracks, are part of a growing number of choices and opportunities available for students at HCISD and provide a unique way to bring authenticity into the classroom.